The Eye Color is an individually customizable option for TPE love dolls by Piper Doll. The Piper Real PI-162/C aka Jenna is a female love doll by Piper Doll. The life-sized doll is made of TPE and features a seamless neck. Jenna has a body height of ca. 162 cm and weights about 42 kg (manufacturer specs). Body measurements: 80 cm × 55 cm × 96 cm (BWH) / 66 cm (under bust) / 27 cm (neck) / 41 cm (shoulder) / 39 cm (thigh length) / 50 cm (thigh circumference) / 40 cm (low leg length) / 33 cm (calf circumference) / 27 cm (upper arm length) / 24 cm (fore arm length) / 22 cm (foot). The appearance of the Piper Real PI-162 love doll may be customized with different eye colors, skin tones, hair colors, and hair lengths. The Piper Real PI-160 aka Miyuki is a female love doll by Piper Doll. The life-sized doll is made of TPE and features a seamless neck. Miyuki has a body height of ca. 160 cm and weights about 30.5 kg (manufacturer specs). Body measurements: 85 cm × 43 cm × 82 cm (BWH) / 48 cm (under bust) / 34 cm (shoulder) / 21 cm (foot). The appearance of the Piper Real PI-160 love doll may be customized with different eye colors, skin tones, hair colors, and hair lengths. The Piper Real PI-160 Plus aka Beth is a female love doll by Piper Doll. The PI-160 Plus has a body height of ca. 160 cm and weights about 38 kg (manufacturer specs). The life-sized doll is made of TPE and features a seamless neck, so the heads are not exchangable. The PI-160 Plus is available with two different heads, Beth and Risako. Body measurements: 87 cm × 53 cm × 91 cm (BWH) / 55 cm (under bust) / 34 cm (shoulder) / 21.5 cm (foot). 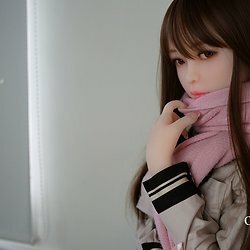 The appearance of the Piper Real PI-160 Plus love doll may be customized with different eye colors, skin tones, hair colors, and hair lengths. The Piper Fantasy PI-150/B aka Akira is a female love doll by Piper Doll. The life-sized doll is made of TPE and features a seamless neck. Akira has a body height of ca. 150 cm and weights about 24.5 kg (manufacturer specs). Body measurements: 72.4 cm × 51.8 cm × 85.7 cm (BWH) / 58.8 cm (under bust) / 24.5 cm (neck) / 30.8 cm (shoulder) / 38.2 cm (thight length) / 48 cm (thigh circumference) / 37 cm (low leg length) / 29 cm (calf circumference) / 25.5 cm (upper arm length) / 20.7 cm (upper arm girth) / 21.2 cm (forearm length) / 19.4 cm (forearm girth) / 18.8 cm (foot). The appearance of the Piper Real PI-150/B love doll may be customized with different eye colors, skin tones, hair colors, and hair lengths. The Piper Fantasy PI-150/K aka Jessica is a female love doll by Piper Doll. The life-sized doll is made of TPE and features a seamless neck. Jessica has a body height of ca. 150 cm and weights about 24 kg (manufacturer specs). Body measurements: 89.7 cm × 45 cm × 84 cm (BWH) / 53 cm (under bust) / 24 cm (neck) / 30.5 cm (shoulder) / 39.6 cm (thight length) / 47.8 cm (thigh circumference) / 36 cm (low leg length) / 29.1 cm (calf circumference) / 23.1 cm (upper arm length) / 20.5 cm (upper arm girth) / 22.6 cm (forearm length) / 19 cm (forearm girth) / 18.8 cm (foot). The appearance of the Piper Real PI-150/K love doll may be customized with different eye colors, skin tones, hair colors, and hair lengths. The Piper Fantasy PI-140 aka Ariel is a medium-sized female love doll by Piper Doll. The doll is made of TPE and features a seamless neck. Ariel has a body height of about 140 cm and weights ca. 28 kg (manufacturer specs). 72 cm (length of leg) / 18.5 cm (length of foot). The appearance of the Piper Fantasy PI-140 love doll may be customized with different eye colors, skin tones, hair colors, and hair lengths. Miyuki is a female head by Piper Doll. The head is is made of TPE. Risako is a female head by Piper Doll. The head is is made of TPE. Ariel is a female head by Piper Doll. The head is is made of TPE. Jenna is a female head by Piper Doll. The head is is made of TPE. Jessica is a female head by Piper Doll. The head is is made of TPE. Akira is a female head by Piper Doll. The head is is made of TPE. The Torso 92 is a female torso by Doll Forever. The life-sized torso comes with arms and hands. The torso has a length of 92 cm and weights about 25 kg. Body measurements: 82 cm (breasts) / 62 cm (under bust) / 52 cm (waist) / 80 cm (hips). Many attributes of this toso can be customized; for example, you can select different skin tones, eye colors, and hair colors - just like you are used from Doll Forever. Sarah is a female torso by Piper Doll. The life-sized torso features seamless head. The torso has a length of 80 cm and weights about 21 kg. Body measurements: 85 cm (breasts) / 52 cm (under bust) / 46 cm (waist) / 89 cm (hips). Many attributes of this toso can be customized; for example, you can select different skin tones, eye colors, and hair colors - just like you are used from Piper Doll.